Visit Lew Portnoy Photography very cool! The photographic images contained herein are my favorites from a 25-year Exploration of Seeing. I hope you are as excited to view them, as I am to present them. These images are presented for your viewing enjoyment, and for evaluation by buyers of photographic services or fine photographic display prints. 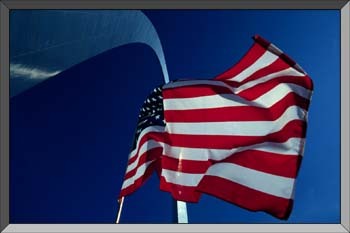 My photographic service and display prints are available from SpectrA-Action, Inc.
Fine Art prints are available from the Marquess Gallery, Union Station, St. Louis, MO. Phone: 314 - 997-7773. While exploring these galleries please be patient, as each page may take some time to load. Much care has been taken to optimize these images for the Internet however, the purpose of this site is to showcase my photographs. Now.. kick-back, click on any camera ... and enjoy! All images are Copyright © Lew Portnoy. All Rights Reserved. Usage is welcomed and encouraged, but first you must contact SpectrA-Action for rates, rights and permission.